There is only one place Alex prefers than the recording studio, the stage! Alex’s low, sultry voice has a unique sound, humbly compared to classic female rockers like Joan Jett and Pat Benatar. 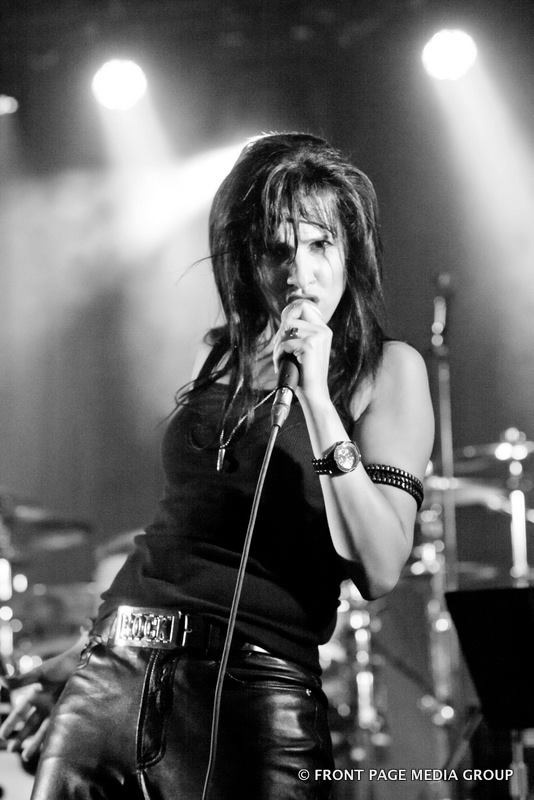 Alex is busy tearing up Canada sharing the stage with the likes of Kim Mitchell, Lou Gramm (Foreigner) & Honeymoon Suite rock’en her fans with her 6 piece band. Above expressing her edge through her emotional originals, Alex has a great time covering her favourite artists like Bon Jovi, Joan Jett, Stevie Nicks and many more!. Alex has just released a new single “It’s Over” in May 2014. You can preview her new single on her site, along with her EP at http://www.alexryder.com or go to iTunes. Subdued intro storms an instrumental passage featuring a stunning guitar line. Alex then smoulders into the first verse before hitting the very catchy chorus with great harmonies.Another brilliant guitar line follows.This is a top song and should be a hit.Alex Ryder has a very commercial, beautiful sounding voice.My song of the week !!!! Acoustic based groover with a vocal hinting at the Pat Benatar influence.Great production again, featuring the trademark harmonies. Another hit song which would sound brilliant live.Awesome guitar work again !!! Bass and drums get to shine on this intro,then the song kicks into an uptempo rocker with yet another killer chorus.This is a KILLER BAND!!!. Brilliant writing on this song featuring a tasty piano intro which makes you expect a ballad.But the full band punchy refrain dispels those ideas.Nice Light and shade verse and chorus and very good lyrics throughout.Jeez this Gal can sing. You have to check Alex Ryder out now !!! !